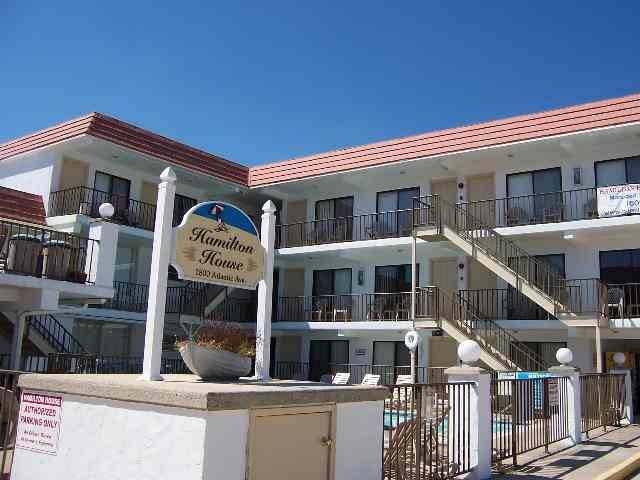 One room studio available at the Hamilton House Condominiums. Unit offers an efficiency kitchen with fridge, microwave, coffeemaker, toaster. Amenities include: pool, sundeck, grill, wall a/c, one car off street parking. Sleeps 4; full bed, queen sleep sofa. Cute and affordable.